The all new complete guide to Bishop Bouldering is here! This 486 page comprehensive guide is a must have for all Bishop climbers. Bishop is a boulderer's paradise, one of the few places on the planet where a high concentration of world-class bouldering collides with stunning scenery, convenient amenities and blissful weather. 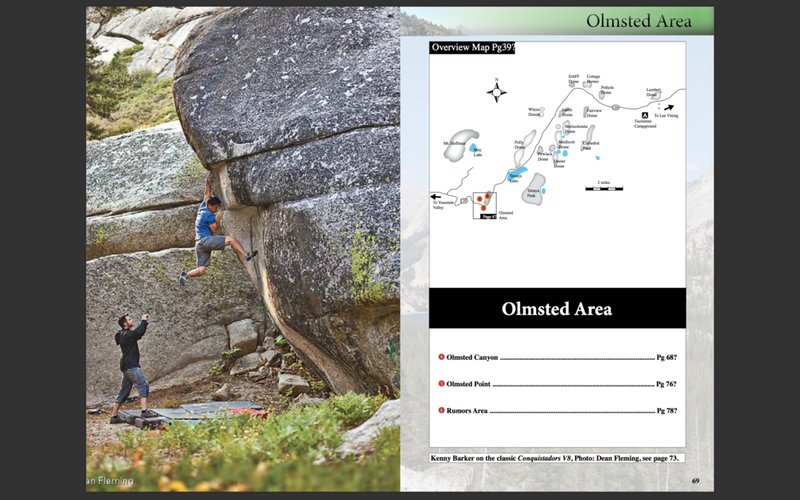 This full-color guidebook details over 2,300 problems on two different rock types, providing a range of options, from the fun, gymnastic pocketed tuff of the Happy and Sad Boulders to the technically demanding quartz monzonite of the Buttermilk Country. Enjoy! Tuolumne Meadows Bouldering is the bouldering guide to Tuolumne Meadows. As a 19 year veteran of Tuolumne Charlie knows the ins and outs of the Meadows and with this book, so can you. Released in 2015, the 372 page, full color Tuolumne Meadows Bouldering guidebook covers over 1,200 boulder problems at 32 different areas in Yosemite's High Country. Tuolumne Meadows offers some of the best summertime bouldering in the U.S.. This book is the essential guide for every boulder looking to enjoy perfect rock in a great setting with problems at every grade and angle from 5.6 to V13. Don't miss it! 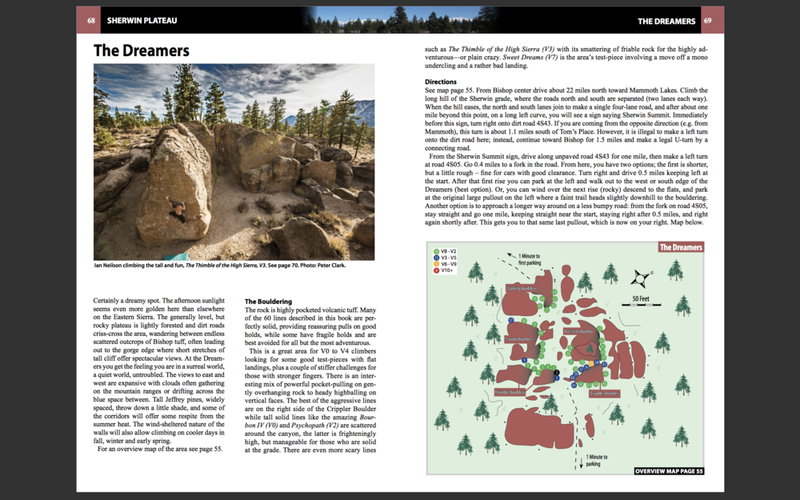 The updated second edition to the Mammoth Bouldering guidebook offers boulderers a bit of a summertime escape from the heat of the nearby Bishop area, this guide is you ticket to great bouldering year-round on the east side of the Sierra. 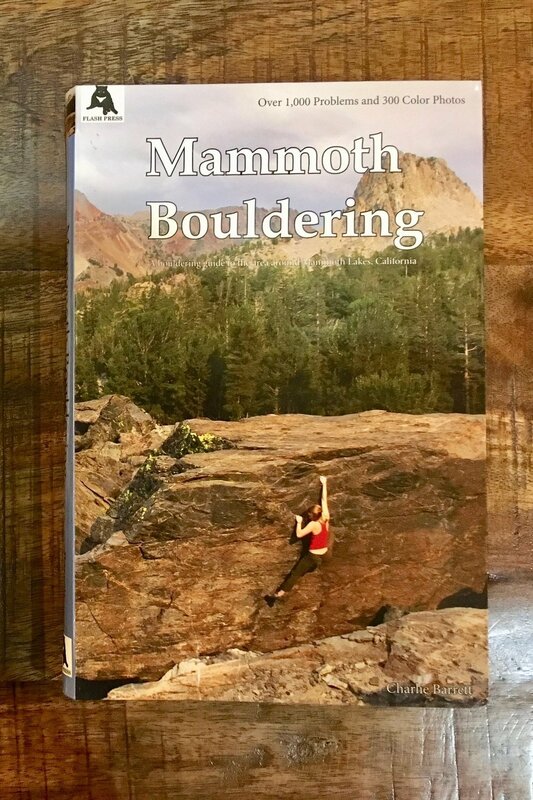 This 264 page, full-color guidebook is the definitive guide to the bouldering around Mammoth Lakes, California (just minutes north of Bishop), released in 2012, Mammoth Bouldering covers over 1,000 boulder problems at 16 different areas. From the sweet uncut crimps of the gneiss and schist of the high country Way Lake, to the awesome pockets and edges of the forested Hartley Springs, Deadman Summit and the Bachar Boulders. This guide has something for every climber at every grade from VB to V12. Enjoy!